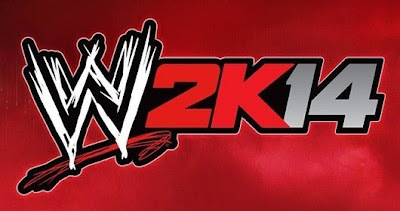 Having had the opportunity to attend a WWE 2K14 press event recently, I couldn't help being excited at what 2K had in store for their first WWE game. Upon arrival it became evident as to just how much 2K wanted to celebrate the 30th annual Wrestlemania with a venue decorated in tribute of The Undertaker, fitting for the WWE’s biggest Wrestlemania draw. Game designer Bryan Williams previewed the game for those in attendance using a build that focused primarily on this year’s latest additions. The biggest feature to be shown was ’30 Years of Wrestlemania Mode’ and from what we saw, looks full of nostalgic awesomeness that’s going to be loved as much, if not more than WWE 13’s ‘Attitude Era Mode’. Every one of the 40+ matches has a fantastic video package which takes place prior to the bout, showing the build-up to these legendary encounters, which works great to introduce those that are unfamiliar with why the matches took place along with being a nice recap for those who have witnessed the matchups before. I must say however, hats off to Yukes for the attention to detail that’s gone into each contest, with every superstar sporting the same attire that their real-life counterparts wore during their selected Wrestlemania matches. It’s this kind of detail that may seem small to some, but it really does bring an additional layer of realism to each bout. Bryan Williams mentioned that those that did mocap rewatched the matches they were animating for to make the animations look as authentic as possible, which has worked out brilliantly from the looks of the footage showing the historical objectives (such as Shawn Michaels’ missed moonsault onto the announcers table at Wrestlemania XXIV). One final tidbit concerning the mode is that there won’t be any rehashed commentary, with Jim Ross and Jerry Lawler having recorded all new content which again is a very nice touch. A sub-mode dedicated to The Undertaker, entitled ‘The Streak’ is likely to be the most difficult mode on the game as you choose between ‘Defend the Streak’ or attempting to end it in ‘Defeat the Streak’, which is (rightfully) the more difficult of the two. A rather awesome touch added to the mode is if you select a superstar that has actually fought Taker at Wrestlemania, then the game loads the actual arena in which the two fought at. My attempt at ending the streak as the Swiss sensation Antonio Cesaro ended after just a few minutes when Taker’s supernatural mind games resulted in the lights going out, him reappearing behind me and tombstoning me. A number of different factors come into play as to how you are scored at the end of the bout including; the excitement and drama of the match, how competitive you were, whether you managed to reverse Undertaker’s finishers and more. Can you perform the impossible? Can you end the streak? 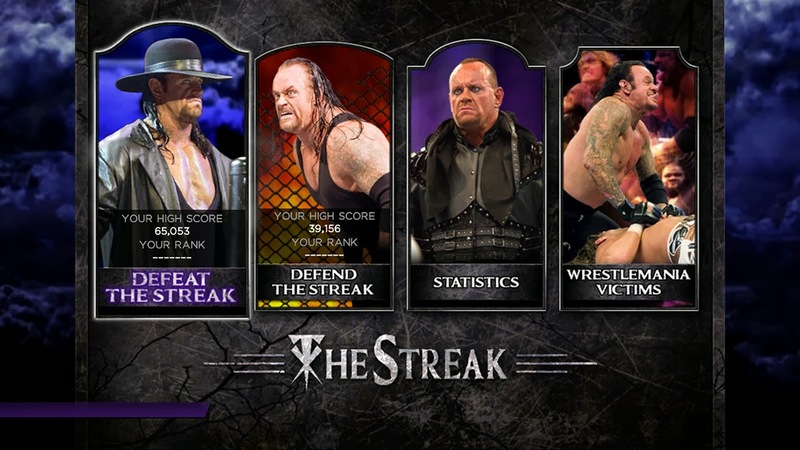 As for defending the streak, you continuously battle opponents as Undertaker until you are defeated, with your time being uploaded to an online leader board to compare with others. ‘The Streak’ also includes a history of Undertaker’s Wrestlemania victims, with a rundown of each of Taker’s victories. It’s a great addition that’s been included in the game at just the right time with Undertaker’s career likely coming to a close within the next couple of years, or maybe even at Wrestlemania 30. Harnessing the spirit of No Mercy, WWE 2K14 is going to allow you to use superstar templates (only 14 unfortunately) when creating a superstar. While the heads can’t be edited, everything else is available to alter which can then be saved as an alternate superstar or alternate attire. It’s certainly the most exciting addition to Create-A-Superstar mode, made even better by the increase in CAS slots from 60 to 100 (on both Xbox 360 and PlayStation 3), which is something that’s been a long time coming for many I’m sure. Create-A-Belt mode was briefly shown and we learned that logos can now be placed on titles (both the in-game logos and any made with the paint tool), which will help to make custom belts look a lot more unique and different than they have done in past WWE games. Lastly Bryan Williams touched upon the additions to ‘Universe Mode’ with rivalries now being editable to your liking instead of the AI having control over it. You can determine how long a rivalry is, allowing you to stretch them out for months or have them last a couple weeks. Custom championships can now be implemented into universe mode, allowing you to take your own brand ideas even further this year. Oh and one of the best pieces of news from the press event was hearing that King of the Ring is now playable in Universe mode! From what I had the chance to play, outside of feeling somewhat faster due to the new offensive reversals, the gameplay feels much the same as WWE 13 which while disappointing, is hardly surprising. Despite that, it’s the quality additions to the series that’s really worth focusing on as 30 Years of Wrestlemania Mode, The Streak Mode and the additions to Create Mode and Universe Mode are all worthy of praise in what’s looking like a good start for the partnership between 2K and WWE.